Spa Vacation - Why you need to pamper yourself? It is another hectic day at the office, and as the minutes turn into hours your workload increases and so does the pressure to finish it all on time. In this workaday race, many of us ignore the signals sent to us by our bodies. We become so accustomed to nonstop work that we hardly recognize the physical toll it's taking. When you need to pamper yourself and recharge your energy reserves, there is no better place than the spa. Spas are health and beauty resorts designed to help you relax and pamper yourself. There, you can undergo an array of beauty and health treatments designed to release the tension from your muscles, allowing you to be completely at peace with yourself. Most spas have complex and elaborate beauty treatments: hair, skin, and entire body care like massage therapy and aromatherapy. As a spa visitor, you'll have a consultation with a counselor or beauty expert who helps you decide upon a treatment that suits your particular needs. Smoke, sun, harsh weather, pollution and excessive shampooing wreak havoc on your hair. Careful pampering with hair masks, crème washes, oils and massage lets you leave the spa with glowing, healthy hair. Spas vary their treatments depending on the seasons. The spring/summer treatments are different from those offered in winter because your skin and hair change with the weather. Winter is hard on hair and scalp because it drains the moisture and its natural oils, leaving the scalp very dry. In order to counter the dryness and the possibility of hair loss, spas offer therapeutic treatments like hot oil massage for the hair. The oil seeps into the scalp and moisturizes it, contributing to healthy hair that shines with strength. During the winter, many spas also offer crème masks for hair such as honey and herbal oils to saturate the hair with the qualities of the herbs. In winter, your skin also needs rehydration and moisturizing. Among the treatments particularly devised for winter skin are mud baths, body wraps, mineral water baths, and deep-pore facials. People who book into skiing health resorts/spas are increasingly seeking stone therapy and Reiki. These treatments heal and recharge your energy levels while allowing you to soak in the gentle, peaceful atmosphere of the spa. 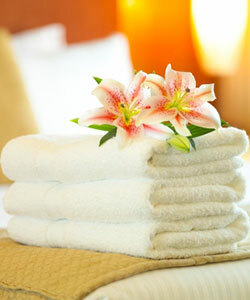 A spa treatment can take you to a whole new level of relaxation as your cares and worries are eased away. Spas are not merely self-indulgence, they are a means to do away with stress and re-invent yourself. Many spas nowadays offer yoga and meditation classes so their clients experience an inner calm along with the outer treatment of their bodies. A healthy body is the key to happiness  when you are not in pain or mulling over the sorry state of your hair and skin, you can venture out and do your best work ever.